I’ve mentioned blogging as an important part of your personal brand numerous times. If you’ve been following my earlier posts, I talk about blogger’s block, and securing your domain for a blog. But what does a good blog look like? 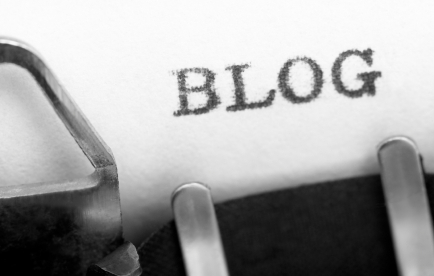 How should you make your blog stand out to gain readership? I have a few ideas and I also reached out to my good friend and successful Agile blogger, Jesse Fewell, (@jessefewell) to get his thoughts. First, there are a ton of options for hosting your blog on certain platforms, you know how to research so I’m not going to waste time on that. I use WordPress.org so I can have my own domain that I purchased (not to be confused with WordPress.com) and have it hosted externally by a hosting service that I pay for monthly. There are free services but the offer less customization. Here is some more detail on WordPress blogs because I have a bias. But once that is set up, what else does a blog need? I would also suggest setting up Google Analytics or something through your blog platform to track traffic to your site, page views, and time spent on posts. As far as other customization and pages, the sky is the limit. Many people have pages for when they are going to be speaking next, custom contact forms, search boxes, resumes, certifications, anything you want really – after all it is your blog. First, the research that I’ve done shows that the people who post most often have the most followers and traffic. The whole point of blogs and blogging is to give a platform to those who have something to say. If you don’t have much to say, then nobody cares. You don’t even have to have a unique topic. Second, the more you write, the more you develop your voice. One of my favorite rising agile stars is David Bland (@davidjbland). He started out by writing a few things on his first blog (no longer available). Over time, as he delved deeper into agile methods, his posts become more and more interesting. Now he has a voice and you can see his content all over the various social channels. Trust me, you really don’t want to see my oldest posts; they’re really clumsy and simply parrot whatever I learned in training classes. HOWEVER, over time, I started developing my own voice with my own questions and thoughts. You CAN’T develop that voice in private before going live. You HAVE to develop it by doing it. Too many beginner bloggers worry about saying things right, or worry that nobody will read their stuff. My challenge is to not care about those people. Don’t do it for them. Do it for yourself. However, it’s not so easy. Thanks for the thoughts, Jesse. Is anyone inspired yet? Get blogging! One more quick afterthought, make sure when you’re linking out to other sites and blogs to have it open in a new window or tab – you want to keep your blog open and not direct traffic away. More about promotion of blogs via other social media platforms coming in the next posts!